“I could tell you the longest story about the worst day of my life but that’s not how Chase should be remembered. Sometimes it takes being in the presence of a hero to help others become heroic. 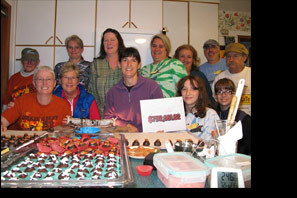 Welcome to the home page for Chase Away K9 Cancer Website: a portal of hope, healing, action, and promise! 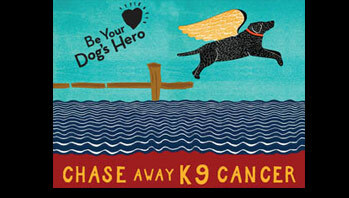 Like many worthwhile organizations, the Chase Away K9 Cancer campaign finds its beginnings at the end of a great love and loss. And, like a Phoenix rising from the depths of sorrow, works to provide new hope and promise for many, now and in the future. 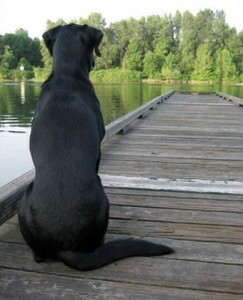 Chase was a beautiful female black Labrador, who achieved the title of AKC Master Hunter, along with being a dock diving Elite Jumper and NW Challenge/Xtreme Airdogs Champion at Diamond Lake in 2005. She was the picture of good health and vitality until her “mom,” Cera Reusser, discovered a lump under her chin while giving her her night time loving. The lump turned out to be metastasized cancer which after diagnoses it was nasal carcinoma. Even after the best possible care by a Board-certified veterinary oncologist it was too late to save Chase. She died three months shy of her seventh birthday. But her unfailing devotion to her family and her courage throughout her ordeal earned her the title of hero. Propelled to action by the loss and determined to find a cure for this devastating disease, Cera set off on a mission to do all she could to help in this crucial battle. She decided that she could be a hero for Chase. Her efforts along with hundreds of volunteers from across the USA & Canada through fundraising have made a huge difference in the fight against canine cancer. Cera’s example has helped many others to join in this valiant fight and we are so thankful that so many continue to join us in our fight against K9 cancer. We would like to express our deepest gratitude to all of the volunteers for they are our heroes whose passion and commitment have made such a difference in the fight against canine cancers. 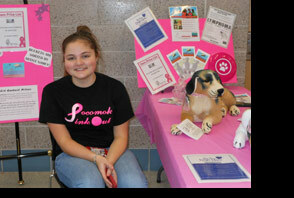 You too can Chase Away K9 Cancer and help us improve the prevention, diagnosis and treatment of this terrible disease.